Fluted Black Silvered Architectural Cast Glass, part of Nathan Allan’s exclusive Freeform Series, is exciting, new, and the first “texture less” kiln formed glass in our industry. 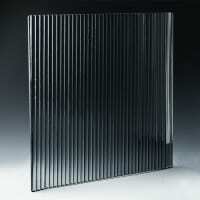 Designed for architects and interior designers who prefer a structured linear glass pattern for their projects. 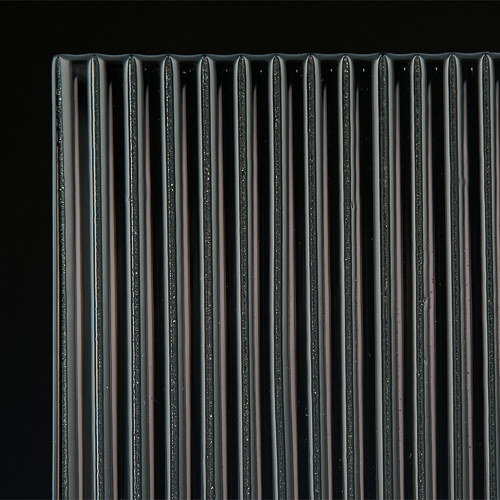 Our Fluted Black Silvered texture has tight, 1/4″ (6mm) wide, protruding Convex shaped flutes. The protruding pattern creates a 3D surface effect. Illuminating this 3D effect is the Silvered (Mirror) finish applied to the back surface. The Silvered finish reflects light and highlights the Fluted Black Silvered texture to another level. Ideal for all cladding applications where the glass can be pressed against another wall surface, to hide or block the surface. A perfect application for our Fluted Black Silvered glass is the back wall of any hotel registration area or corporate entrance lobby. Also, apply our Fluted Black Silvered glass options to make a simple column become bold and vibrant. 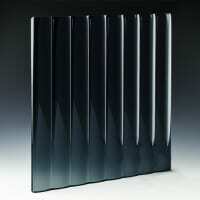 Fluted Black Silvered Architectural Cast Glass is part of Nathan Allan’s very exclusive Freeform Series. As a result one will find that these glass designs are unique and one of a kind. Likewise we are proud to boast that all 14 designs were created by Nathan Allan artists. As such these elegant designs are Nathan Allan originals. Our Fluted Black Silvered Architectural Cast Glass provides a dazzling architectural feature that will compliment any build. 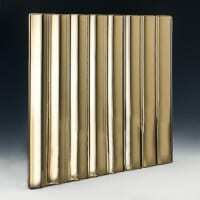 For this reason, it has become one of our most popular interior designer selections. 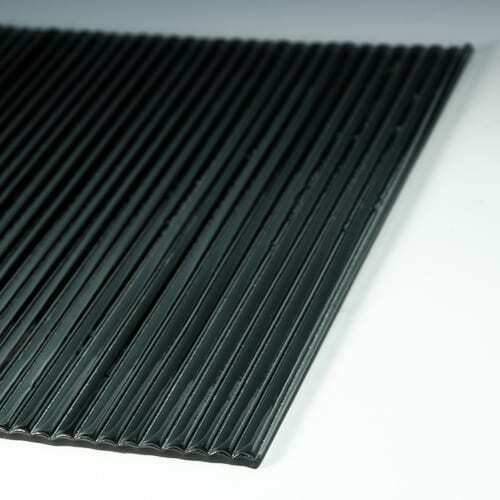 At the same time our Fluted Black Silvered glass is also extremely functional, and often used in conference room feature walls. Accordingly, Fluted Black Silvered Architectural Cast Glass is also featured in partitions, facades, doors and retail storefronts. Therefore helping to sound proof any space, and allowing considerable light transmission, makes this glass very desirable. 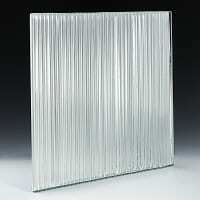 Our extremely creative Free Forming process, produces clear texture less glass panels. As a result, the clear 3D convex surfaces also provide ample privacy. 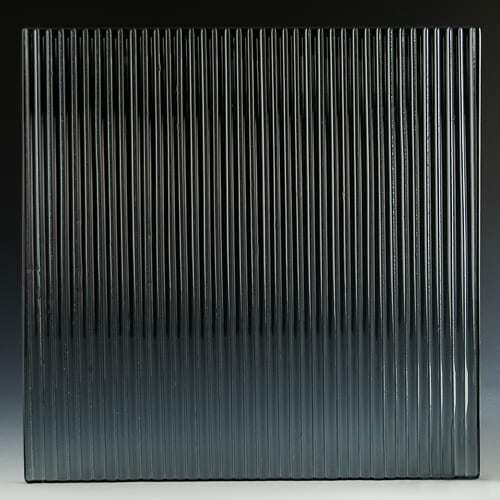 Thus, there is nothing else like our Fluted Black Silvered Architectural Cast Glass in our industry. For this reason, we encourage you to check out our Instagram Page and Facebook Page. At the same time, for more information on our Fluted Black Silvered Architectural Cast Glass please contact us today. Cleaning Our glass products can be cleaned with liquid cleaners and paper towels, or soft clothes. Liquid cleaners without ammonia will help reduce streaks on the glass. Avoid all abrasive cleaning materials. Water and moisture should not come in contact with the glass edges or silvered backing.